Scott Nelson Foster is an artist and educator living in Albany, New York. His work has been featured in galleries throughout the United States. In most of his paintings, Mr. Foster utilizes a variety of media—both traditional and modern—to create an image with many layers and levels of detail. 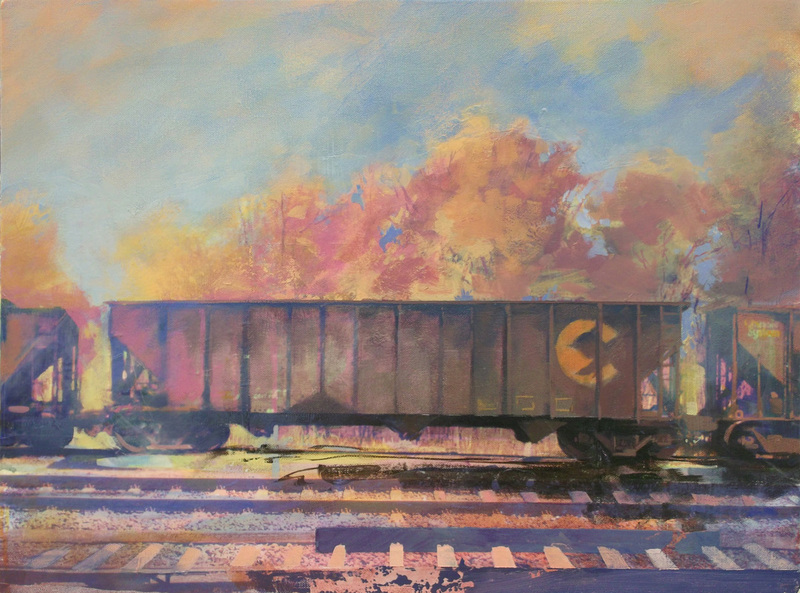 His paintings evoke impressions of the nostalgia and memory tied to particular locations and objects. Absence and loss, not presence, shapes my definition of beauty. An aspect of this conception of beauty is memory, the anticipation of change, and the struggle to fix a moment in the mind. I use the suburban landscape of houses and strip malls as my subject matter. I search for ways to describe the changes of the landscape and the passage of time; to express the long memories tied to the land and sky that surround us. My paintings are reflections of changing ideas about societal relationships to the land. The landscape is an arena in which the dramas of civilization, society, and life are played out. Houses, subdivisions, and strip-malls evoke shared experiences. This common denominator gives my work a broad resonance that allows even fragmentary visions to evoke complex narratives. My paintings eschew the particulars—what makes a location unique—and focus on the iconic—what makes disparate subjects universal. Information regarding exhibitions, lectures, residencies, awards, and grants may be viewed via the adjacent link..